Nájera was an important pilgrimage stop on the Camino de Santiago. 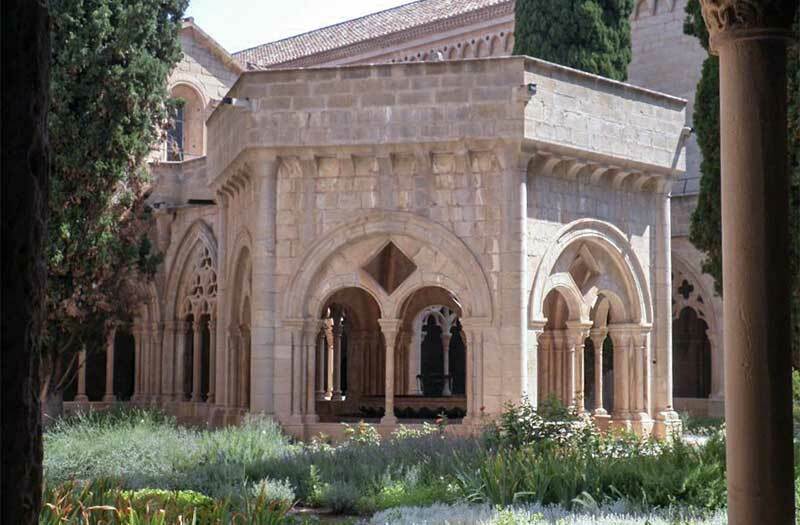 The monastery dates back to the 11th Century, the buildings of today are from the 15th and 16th Century. 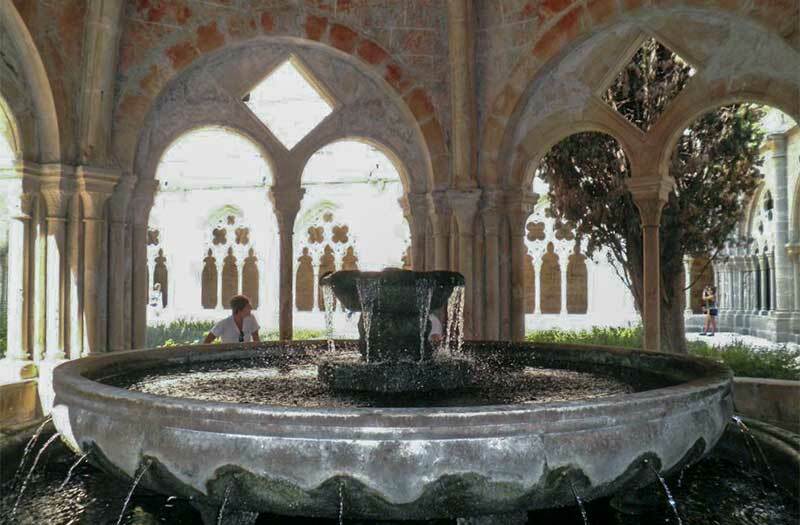 The cloister was completed in 1528. 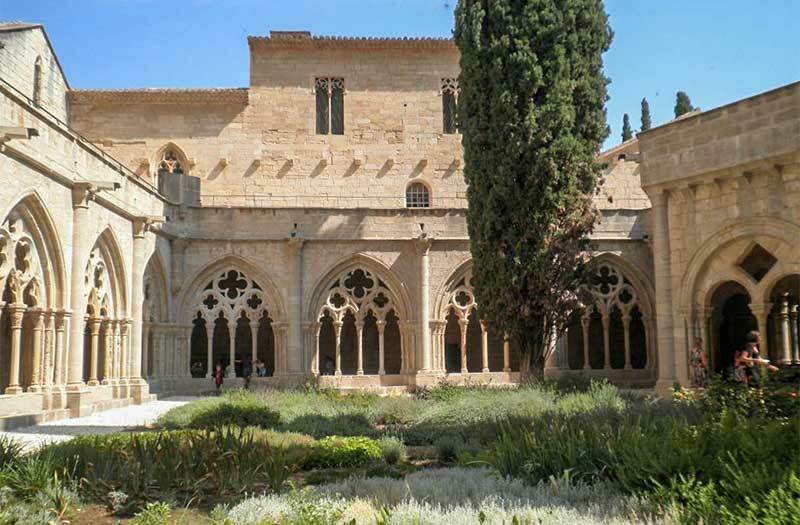 It is known as the Claustro de los Caballeros (Cloister of the Knights), because of the concentration of Riojan aristocracy buried there. It is highly ornamental in decoration. The town's name is from Arabic ‘Naxara’, meaning between the rocks. The town was capital of Navarre in the X & XI centuries. 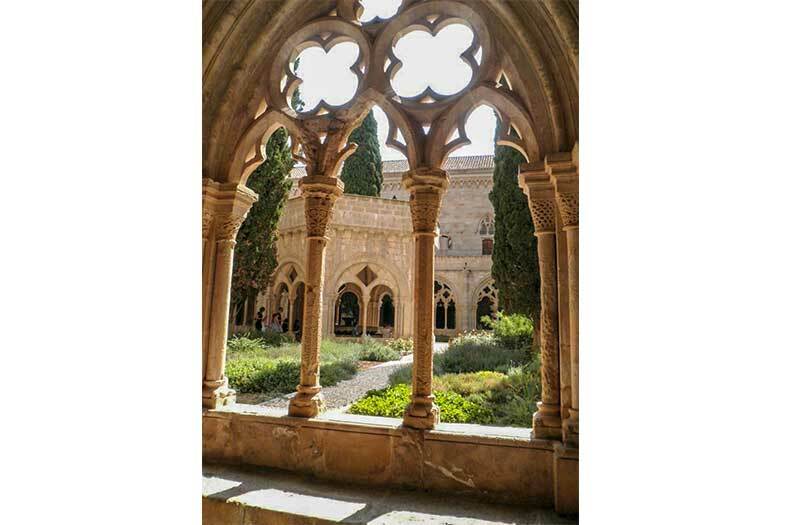 The monastery was founded after King Garcia’s falcon chased a bird into one of the caves above the town and revealed a statue of the Virgin. The founder and his queen kneel in pride of place, albeit in XVIc dress. 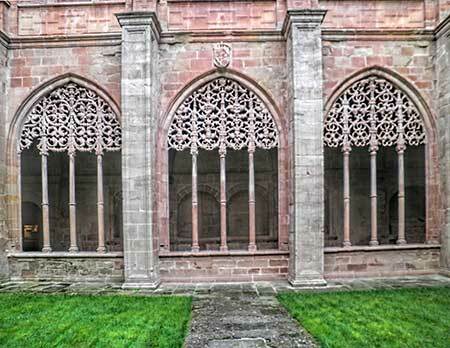 The intricate early XVI century stone lattice work of the cloister is exquisite, but the most touching piece for my friend Christopher was the lid to the tomb of Queen Blanche, who died in childbed in 1134, aged 18; it is carved with expressive images of her death and burial, as well as biblical scenes such as the Massacre of the Innocents.